Welcome to ECOT’s Children & Youth Ministries! Collectively, we serve children and families from birth through 12th grade and beyond. 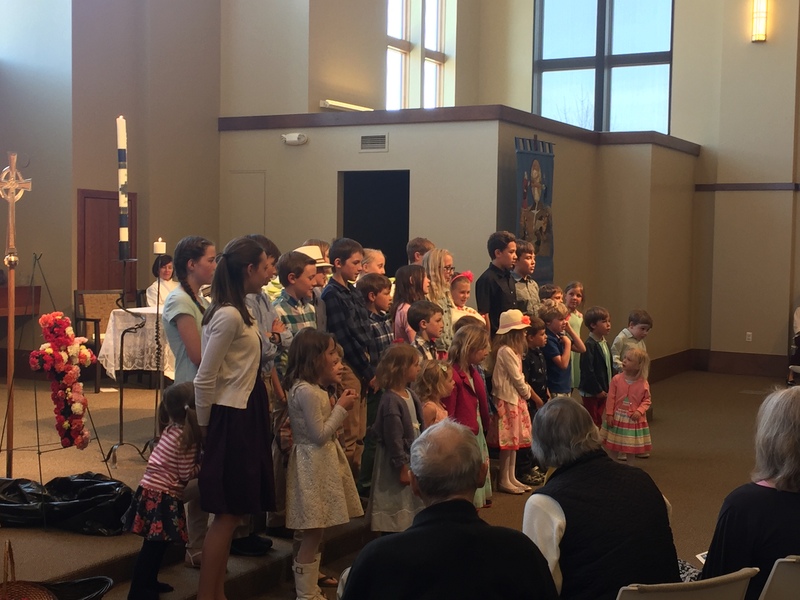 We offer weekly nursery, Sunday School, and youth group as well as seasonal programs like Little Lambs, summer camp, Confirmation Prep, and youth mission trips. Please check out our Children’s Ministries and Youth Ministry page for more details about these programs. Also consider signing up to receive our weekly Children’s Ministries and Youth Ministry newsletter to get the most up-to-date information about our events! Lastly, please let us know what we can do to serve you and your family. We have an ECOT Parents Facebook page to offer you tips, resources, and a supportive parent community for raising your kids in the Christian faith and life. We are also more than happy to answer your phone calls, buy you a coffee, or talk with you after church. God bless, and we look forward to partnering with your family this year! By clicking submit below, I acknowledge and agree that I have read ECOT’s Sunday School Policies and Guidelines for Appropriate Affection in Ministry with Children and Youth, understand it fully, and agree to register my child/ children and volunteer for at least 3 volunteer opportunities a year necessary to keep the program sustainable.